Abstract: A close reading of three selected passages of the Middle English alliterative romance Sir Gawain and the Green Knight provides a detailed picture of fictional and fairy-tale manifestations of courtly and polite behaviour in Middle English, a period that imported many new terms of courtesy and politeness from French. 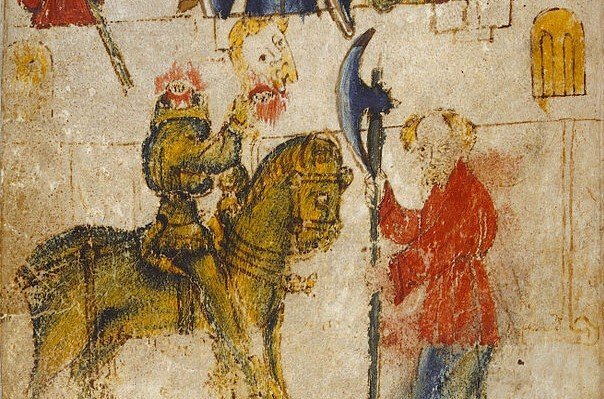 In the three passages Sir Gawain is visited in his bedchamber by the lady of the house, who tries to seduce him and thus puts him in a severe dilemma of having to be courteous to the lady and at the same time loyal to his host and to the code of chivalry. The analysis shows how Sir Gawain and the lady of the house engage in a discursive struggle of the true implications of courteous behaviour. It also shows how the two characters use nominal and pronominal terms of address to negotiate their respective positions of power, dominance and submission towards each other. And, finally, an analysis of requests reveals how the lady carefully selects appropriate strategies to reflect the severity of the imposition of her requests and her momentary standing in their discursive struggle. Introduction: The English language has a rich vocabulary to refer to polite and courteous behaviour. This is true not only for Present-day English but also for older stages of the language. The Historical Thesaurus of the Oxford English Dictionary lists 1704 expressions under the heading of “good behaviour” and within that 781 under the heading of “courtesy”. A considerable number of these expressions are first attested in the Middle English period. Jucker et al. investigated the development of the semantic field of courtesy and politeness in the history of the English language, and they found that the Middle English period was particularly rich in new courtesy and politeness related vocabulary. They retrieved 67 terms from the Historical Thesaurus under the narrow headings “courtesy, n”, “courteous, a” and “courteously, adv”. 30 of these 67 expressions were first attested between 1150 and 1420. A search for these terms and their spelling variants in the Helsinki Corpus revealed that the semantic field of courtesy and politeness must have been particularly important in the Middle English period. In the Early Modern English period these terms are attested significantly less frequently. It appears, therefore, that Middle English is a very important period for the development of the English politeness vocabulary, and that it seems worthwhile to investigate manifestations of courtesy and politeness in the Middle English period. Many of the new terms of courtesy and politeness were imported from French, and it is likely – given the structure of society in England during the Middle English period – that patterns of behaviour were also borrowed from French.